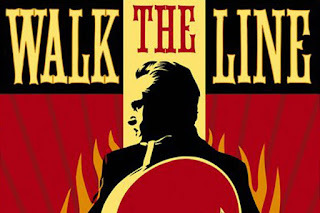 Download MP3 In today's episode Nate and Austin compare James Mangold's best and worst rated films, Walk the Line (2005) and Knight and Day (2010), respectively. 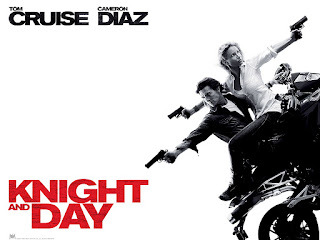 Nate hates afternoon killers, Austin essentially financed Knight and Day, and they both continue their love affair with Joaquin Phoenix. Check back Sunday, March 26 at 7pm PST where we will compare John Huston's The Treasure of the Sierra Madre (1948) and Phobia (1980), his best and worst rated films. PLOT: A young woman gets mixed up with a disgraced spy who is trying to clear his name. Tom Cruise and Cameron Diaz did a majority of the stunts on their own. Cruise and Diaz are avid drivers, and have experience in doing sharp turns and 180s. Tom Cruise wanted to do another spy thriller, but he thought Salt (2010) and The Tourist (2010) were too similar to his Mission: Impossible (1996) franchise. He ultimately chose this project once it became an espionage thriller with comic elements. With the exception of Roy Miller falling off during the rooftop chase in Austria, Tom Cruise did most of the running and jumping without any wire works. Chris Tucker, Adam Sandler, and Gerard Butler were all considered for the lead role before Tom Cruise signed on. All the car crashes were recorded on studio lots and digitally imposed in the film. Over twelve writers worked on the film but the Writers Guild of America ruled that only one of them, Patrick O'Neill, should be credited. Some of the other uncredited writers were Scott Frank, Laeta Kalogridis, Ted Griffin, Dana Fox, and Simon Kinberg. Eva Mendes was cast as the female lead when Chris Tucker was attached to the project. PLOT: A chronicle of country music legend Johnny Cash's life, from his early days on an Arkansas cotton farm to his rise to fame with Sun Records in Memphis, where he recorded alongside Elvis Presley, Jerry Lee Lewis, and Carl Perkins. When Cash wakes up on the tour bus, just after the Folsom Prison performance, he walks past guitarist Luther Perkins, who is passed-out with a lit cigarette in his mouth, and puts the cigarette out. Perkins died a few months after the 'At Folsom Prison' recording/performance. He fell asleep in his Tennessee home with a lit cigarette in his mouth, and died from injuries sustained in the resulting fire. During one scene Johnny Cash is high and performing "I Got Stripes", he walks right up to June Carter and glares at her for an uncomfortably long period of time on stage. According to the director, James Mangold, this was unscripted and improvised by the actors. Mangold said that he simply told Joaquin Phoenix to do what he would do in real life if he were angry at his girlfriend and then had to perform on stage with her. Much to Phoenix's surprise, this backfired and Reese Witherspoon responded to his actions by simply rolling her eyes, and continuing to perform the song. Phoenix later said that her reaction threw him off because his goal had been to make her as uncomfortable as possible on stage. Joaquin Phoenix and Reese Witherspoon performed all of the songs themselves, without being dubbed. They also learned to play their instruments (guitar and auto-harp, respectively) from scratch. The film was screened for the inmates of Folsom Prison, 38 years after Johnny Cash's landmark performance. The director said that Joaquin Phoenix and Reese Witherspoon developed a very codependent relationship during filming. According to him, after the filming wrapped, Phoenix admitted to him that he and Witherspoon had relied on each other so much that they made a secret pact. The deal was that if one of them left or dropped out, the other would leave as well. The scene in which Johnny Cash pulls the sink off the wall was not scripted; Joaquin Phoenix actually pulled it off the wall.